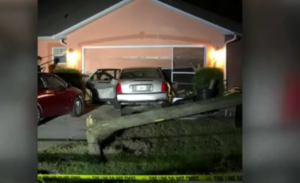 A driver is in custody after crashing their vehicle into a power light pole, then into the garage of a home on 16th Street Southeast, Cape Coral. It’s unknown how the crash happened at this time. The vehicle has been removed from the scene, and the light pole has been replaced.